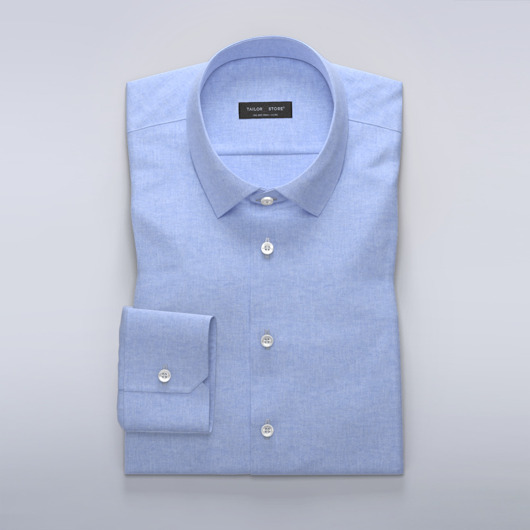 Clear blue linen dress shirt. Light and airy to wear with no obvious transparency. Wear with chinos or shorts on warm days. Made to your measurements.